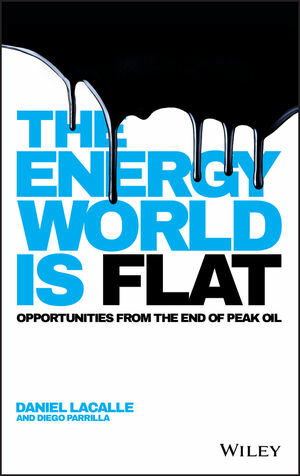 The Energy World Is Flat provides a forward-looking analysis of the energy markets and addresses the implications of their rapid transformation. Written by acknowledged expert Daniel Lacalle, who is actively engaged with energy portfolios in the financial space, this book is grounded in experience with the world of high-stakes finance, and relays a realist's perspective of the current and future state of the energy markets. Readers will be brought up to date on the latest developments in the area, and learn the strategies that allow investors to profit from these developments. An examination of the markets' history draws parallels between past and current shifts, and a discussion of technological advancements helps readers understand the issues driving these changes. The recent energy market changes were both unexpected and so fundamental in nature that they represent a true shift in the energy macro- and microeconomic landscape. Investors and analysts seeking a stronger approach to these markets need the expert guidance provided by The Energy World Is Flat. DANIEL LACALLE is an economist, fund manager and certified financial analyst specialised in Global Energy with experience in equities, bonds and commodities. He holds a postgraduate degree in IESE and a master-s degree in economy investigation. After working for ten years in the Oil and Gas sector, in charge of exports to the Middle East and Africa as well as Investor Relations, and in the utilities sector, Mr Lacalle joined the financial sector developing his career as a fund manager in some of the largest investment funds in the world, and was voted Top 3 Generalist and Number 1 Pan-European Buyside Individual in Oil & Gas in Thomson Reuters' Extel Survey in 2011, the leading survey among companies and financial institutions. Author of two best-selling books Nosotros los Mercados and Viaje a la Libertad Económica, now in their fifth and fourth editions respectively, as well as The Life In The Financial Markets (Wiley, 2014). DIEGO PARRILLA is a Hedge Fund Manager at BlueCrest Capital Management where he runs a portfolio of liquid macro commodity strategies. Prior to starting his career in fund management in 2011, Diego worked in commodities sales and trading holding, amongst others, the positions of Managing Director, Global Head of Commodity Solutions and Head of Commodities Asia Pacific. Diego holds a Bachelors and Master of Science in Mining and Petroleum Engineering from the Polytechnic University of Madrid in Spain, a Master of Science in Mineral Economics from the Colorado School of Mines in the USA, and a Master of Science in Petroleum Economics and Management by the French Institute of Petroleum in Paris, France. Diego currently resides in Singapore with his wife and three children.